State Sen. Roger Manno, a Democrat from Montgomery County, speaks at an anti-fracking rally in front of the State House on Tuesday. On Tuesday, a key Senate committee considered two competing proposals — one for a new moratorium, the other for a fracking ban. Fracking opponents and supporters packed the Senate’s Education, Health and Environment committee room for hearings that lasted well into the night. On one side, people worry about the effects of hydraulic fracturing, or fracking, on public health and the environment. 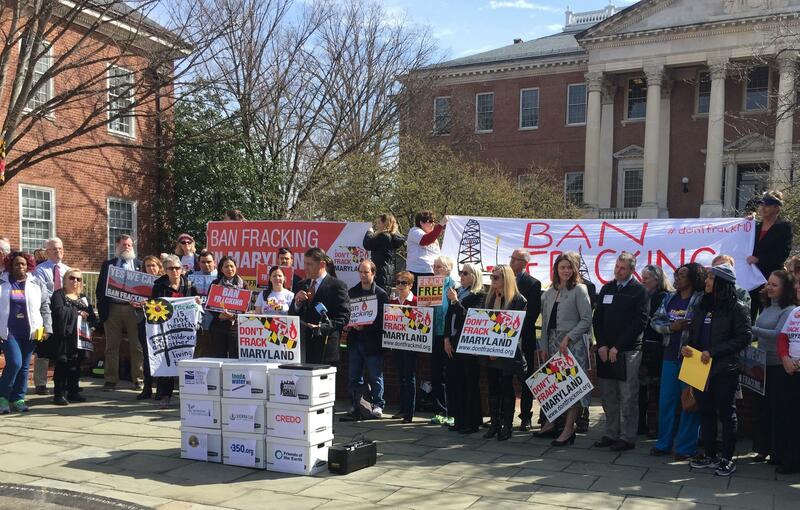 Sen. Bobby Zirkin, a Baltimore County Democrat and the lead sponsor of the proposed ban, entered the hearing armed with a stack of scientific studies from across the country. On the other side, fracking advocates say it can be done safely, and that it would be an economic boon to a part of the state that could really use one. The state is set to allow drilling beginning in October if the General Assembly does nothing to prevent it. But with 41 of the Senate’s 47 members sponsoring the ban, the new moratorium or both — and a large amount of support in the House of Delegates — the question isn’t really whether the legislature will act, but rather how it will act. 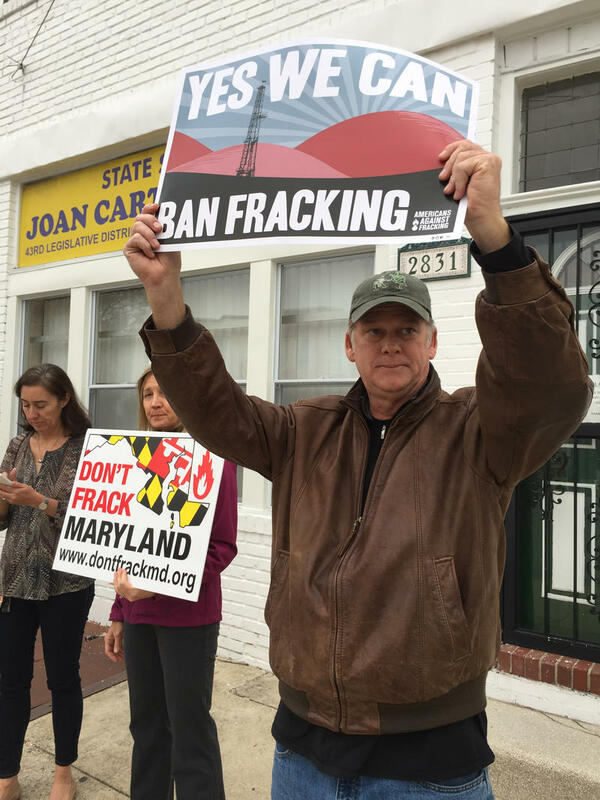 Committee Chairman Joan Carter Conway, a Baltimore Democrat, is frequently seen as a hurdle to a permanent fracking ban because she sees it as politically untenable, as she described during Tuesday’s hearing. This year, she’s the lead sponsor of a bill that would extend the moratorium for two years, until October 2019. It would also create a referendum on the ballot in November 2018. Voters in each local jurisdiction would decide whether their county should allow fracking. Woody Getz, commissioner of public works for Frostburg, in Allegany County, criticized a county-by-county approach to banning fracking. On the other hand, Conway said a statewide referendum would yield complaints that the state’s urban and suburban counties are making the decision for the small part of the state where fracking is viable. She also said that while she agrees that fracking is harmful, it comes down to politics — specifically, whether Republican Gov. 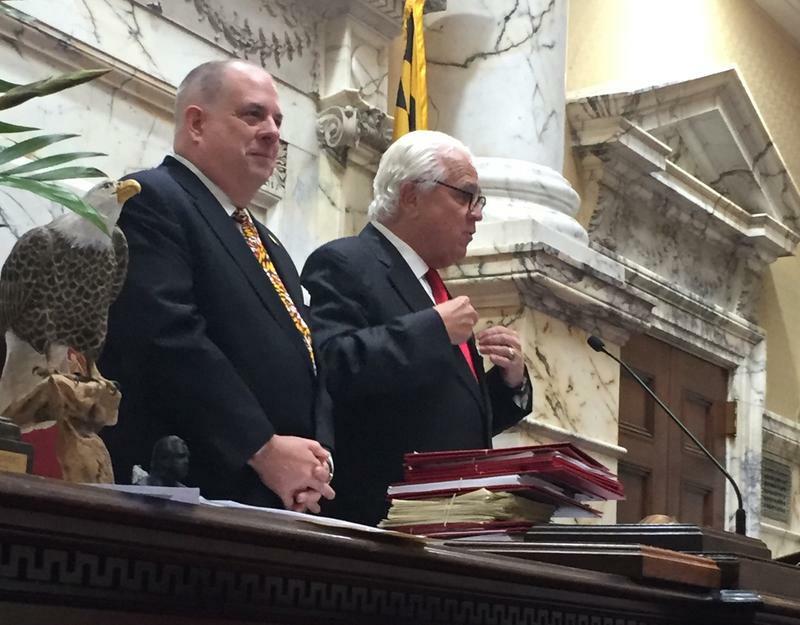 Larry Hogan will veto a fracking ban. But Zirkin told her he wasn’t deterred. When asked whether Hogan would veto either of the fracking bills, spokeswoman Amelia Chasse offered a written statement. 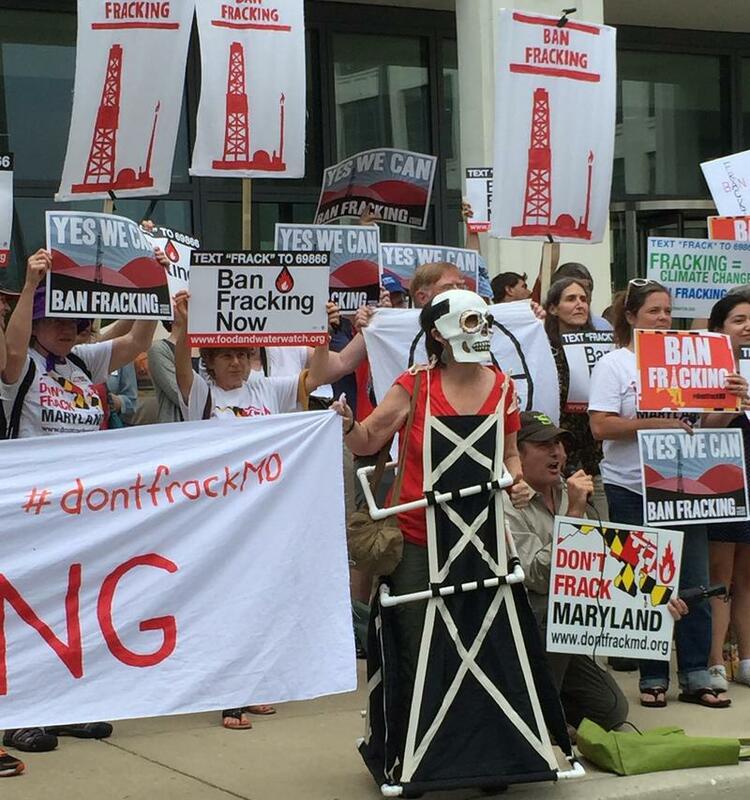 “Legislation passed by the General Assembly required the administration to create regulations for hydraulic fracturing this year, and the Maryland Department of the Environment created the toughest regulations in the country,” she wrote. Zirkin said he doesn’t think Hogan will veto it. But if he does, Zirkin said he has the 29 votes he would need to override the veto in the Senate.